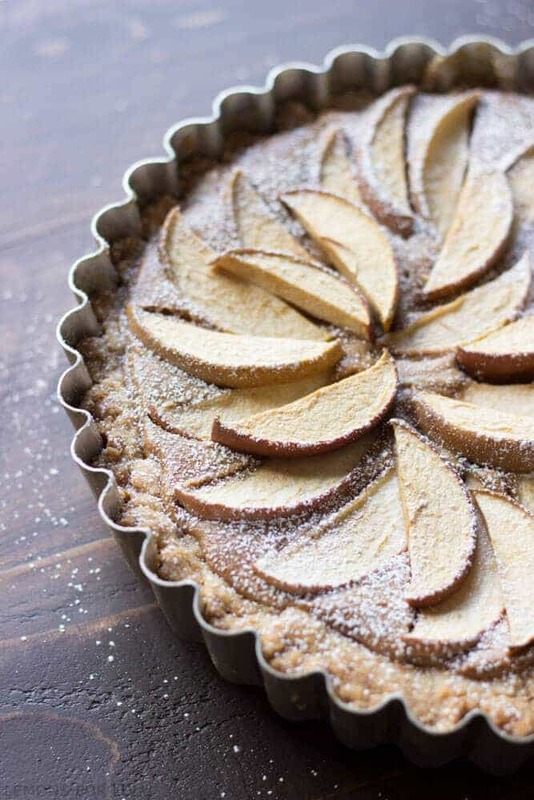 This easy apple tart starts with a sugar mix but ends with a smile! A creamy peanut butter filling and fresh apples make up the middle! That wasn’t exactly what I was going for. I’m not opposed to my daughter bringing an apple in to her teacher, but an apple a day might get a little excessive. Her teacher may not even LIKE apples. Just because we eat apples like they are going out of style doesn’t mean everyone else does. Seriously, we go through bags of apples a week. 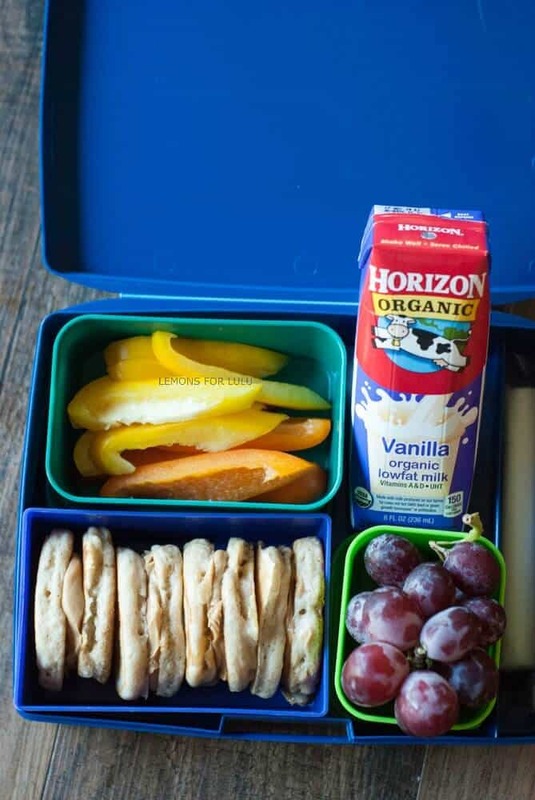 I put them in brownies, cook them in syrup, and pack them in our lunch boxes. They are perfectly, self-contained treats. This is why we love apple season. All the crisp, sweet apples are overflowing at the grocery stores, farm markets and u-pick orchards. While I gravitate towards apple butter or even homemade pie, I was ready to try something different this season. 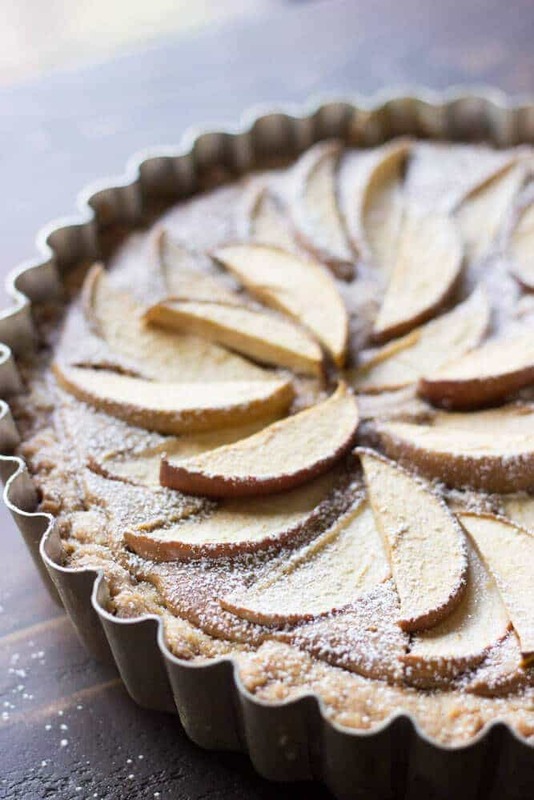 I thought an easy apple tart would be just the dessert to try! I was right, this tart might even have the classic apple pie beat. It’s a simple recipe but with all the flavors and textures, it tastes like you’ve toiled in the kitchen all day! The crust for this tart is a sugar cookie mix. No one has to know, it can be our little secret. Once you mix the crust ingredients, you’ll bake it up just until it is golden. While the crust is getting all toasty, that’s when you whip up your filling. Ah, the filling!! It’s beautiful! It’s creamy and smooth with a bit of cinnamon spice. It’s not too sweet either (let’s save that for the fresh apples). Sprinkle the tart with a little powdered sugar and you have yourself an impressive dessert my friends. Oatmeal cookie mix would do just as well. Use what you have on hand. This is a flexible recipe. You could use natural peanut butter if that is what is in your pantry. I would increase the sugar. Your taste buds will tell you how much to add. You could take the skin off the apples if that is your preference. I sort of like the rustic look so I left my skins on. Get the kids to help! Kids are master crust mixers! Little hands can expertly press the crust into the tart pan. Kids love arranging the apples too-give them a chance to show off their artistic sides! 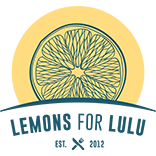 Visit Walmart on the web to learn more about their farm fresh produce and their money back guarantee. In a large bowl stir together cookie mix, butter, water and egg until a soft dough forms. Spread dough onto an ungreased tart pan with a removable bottom. Be sure to spread the dough up the sides of the pan. Bake for 20 minutes, remove and cool for 10 minutes. While crust is cooling, combine peanut butter, sugar and remaining filling ingredients in a heavy saucepan. Cook over medium heat until smooth. Remove and let cool for a minute or two or until the mixture begins to thicken. Pour mixture over crust. Arrange apples slices in over peanut butter mixture. Bake for 35-40 minutes or until edges are golden and center has set. Cool completely. your daughter sounds adorable! love that age! and this tart is AMAZING and so beautiful! Hello? 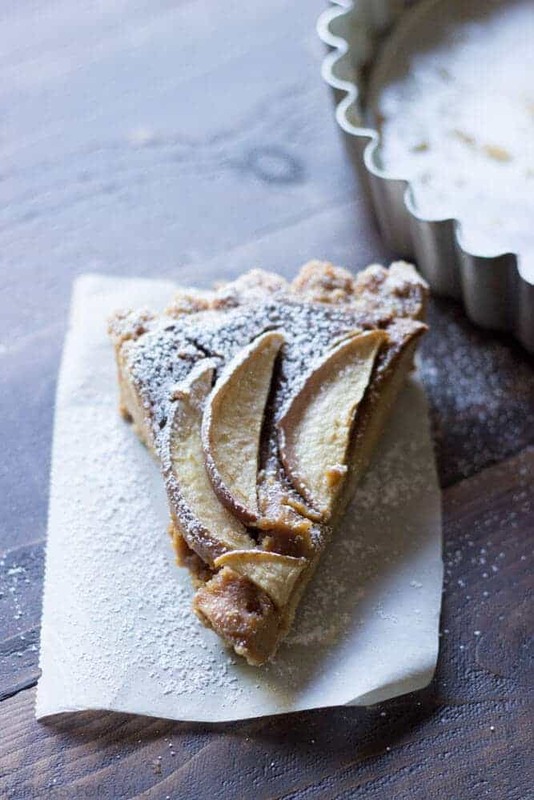 The crust for this tart is a sugar cookie mix. Freaking love this. Pinned!!! This is gorgeous, Tanya! I love the peanut butter filling – YUM!! Peanut butter, apples, and sugar cookies sound like the perfect combination to me! 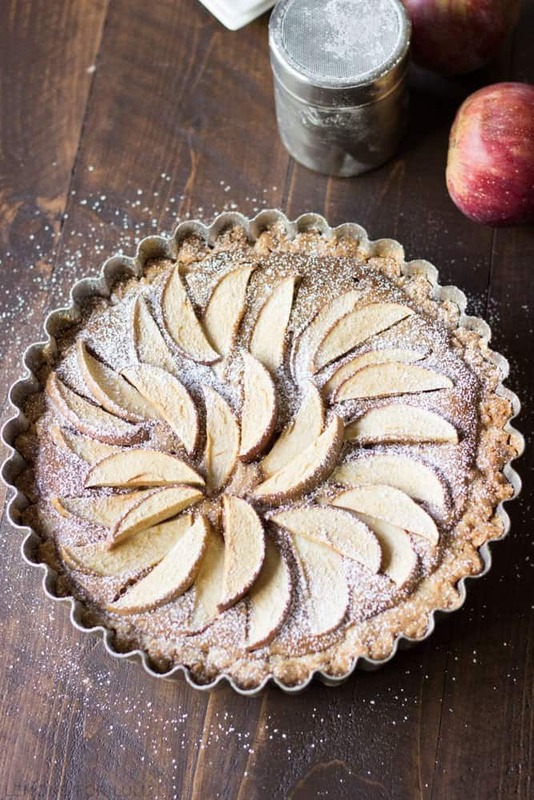 I would like to try it with the oatmeal cookie mix though… This tart is absolutely gorgeous and I bet I know where the apples came from:) Thanks for the recipe, Tanya! Apples and pb are like my favorite combo ever! I look forward to trying this recipe. I snack on apples and peanut butter all the time, it made perfect sense! Thanks Tori! 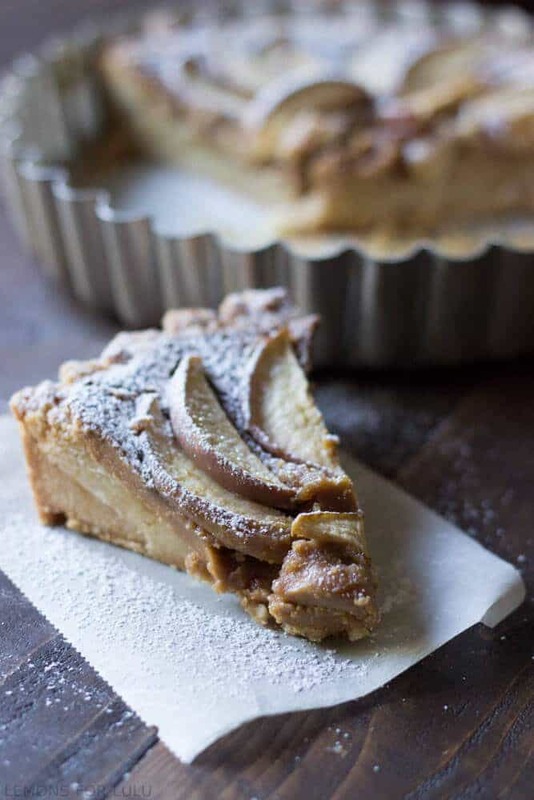 Peanut butter and apples in a tart?!! I love it! What a beautiful tart, Tanya! 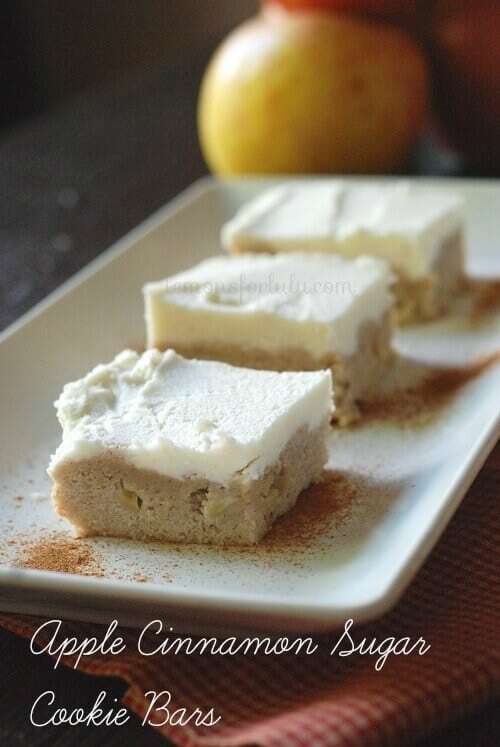 Love the sugar cookie crust! Beautiful pie and photography. I would be honored if you would come by and share at Foodie Fridays going on now. Hope to see you there. Sugar cookie mix! That means that even I could make this! Katie, this is so easy you will love it! 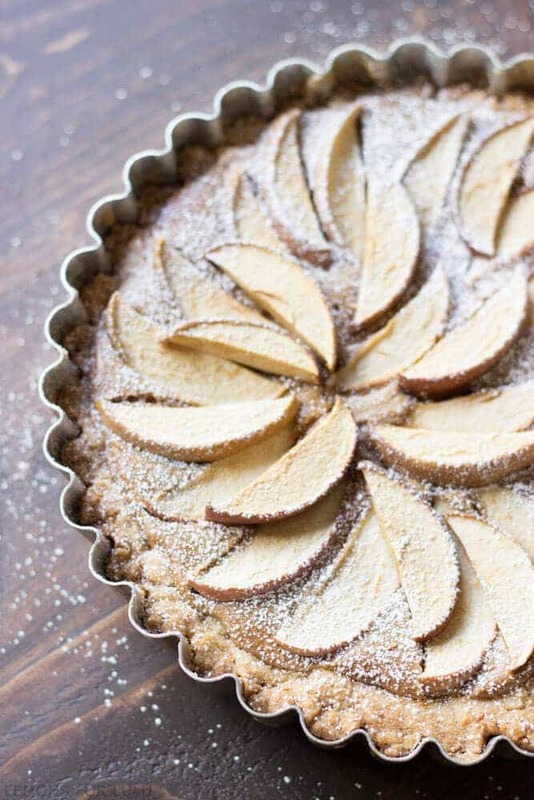 This tart not only looks delicious…it’s so pretty! What a great recipe for great flavor…thanks for sharing! This is one beautiful tart ,Tanya! As a former teacher, I’d have also found those notes super endearing! What a sweet daughter you have! 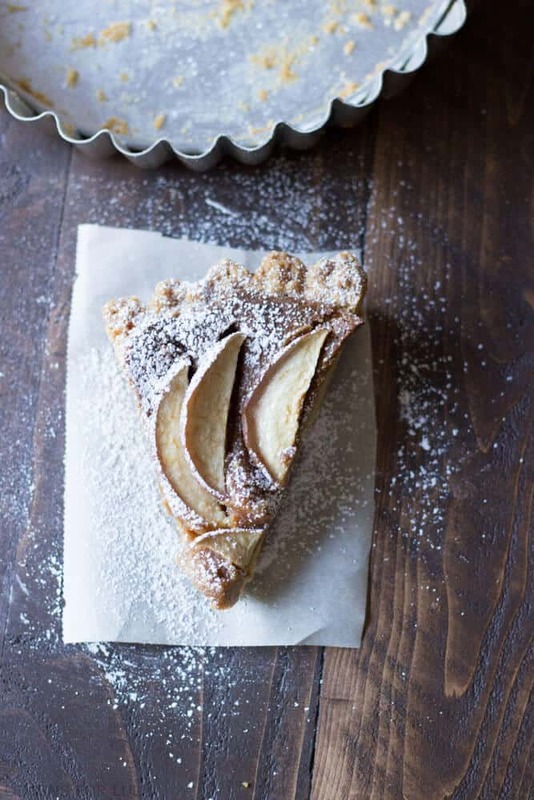 I’d also be pleased if I received this fall apple tart 😉 Gorgeous photos! 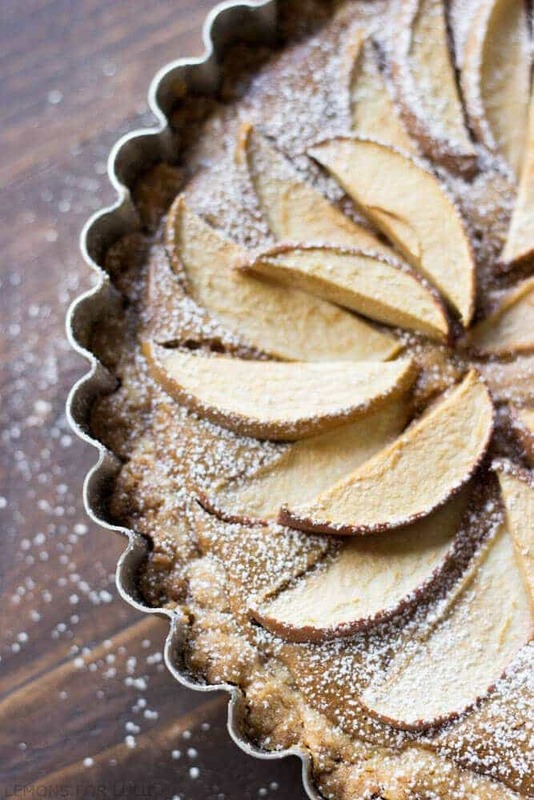 This apple tart looks so delicious!